12 Facts About the White House - Did You Know? Construction of the White House in Washington, D.C. begain in 1792. 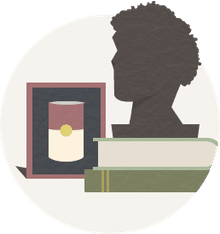 In 1800, President John Adams was the first president to move into the White House, and it's been rehabilitated, renovated, and rebuilt ever since. The White House is recognized around the world as the home of America's president and a symbol of the American people. But, like the nation it represents, America's first mansion is filled with unexpected surprises. Did you know these facts about the White House? During the War of 1812, the United States burned Parliament Buildings in Ontario, Canada. So, in 1814, the British Army retaliated by setting fire to much of Washington, including the White House. The inside of the presidential structure was destroyed and the exterior walls were badly charred. After the fire, President James Madison lived in the Octagon House, which later served as headquarters for the American Institute of Architects (AIA). President James Monroe moved into the partially reconstructed White House in October 1817. In 1929, shortly after the United States fell into a deep economic depression, an electrical fire broke out in the West Wing of the White House. Except for the third floor, most of the rooms in the White House were gutted for renovations. When architect Pierre Charles L'Enfant drafted the original plans for Washington, D.C., he called for an elaborate and enormous presidential palace. L'Enfant's vision was discarded and architects James Hoban and Benjamin Henry Latrobe designed a much smaller, more humble home. Still, the White House was grand for its time. Larger homes weren't constructed until after the Civil War and the rise of Gilded Age mansions. The largest home in the United States is one from that perioed, the Biltmore in Asheville, North Carolina, completed in 1895. The White House cornerstone was laid in 1792, but did you know that a house in Ireland may have been the model for its design? 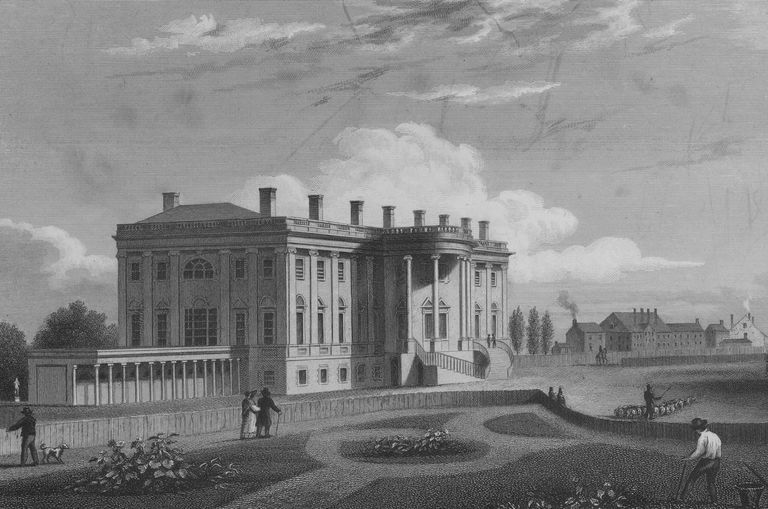 The mansion in the new U.S. capital was to be built using drawings by Irish-born James Hoban, who had studied in Dublin. Historians believe that Hoban based his White House design on a local Dublin residence, the Leinster House, the Georgian style home of the Dukes of Leinster. The Leinster House in Ireland is now the seat of the Irish Parliament, but first it was how Ireland inspired the White House. The White House has been remodeled many times. During the early 1800s, President Thomas Jefferson worked with British-born architect Benjamin Henry Latrobe on several additions, including the East and West Wing Colonnades. In 1824, architect James Hoban supervised the addition of a neoclassical "porch" based on plans that Latrobe had drafted. The elliptical south portico appears to mirror the Château de Rastignac, an elegant house constructed in 1817 in Southwest France. The land that became Washington, D.C. was acquired from Virginia and Maryland, where slavery was practiced. Historic payroll reports document that many of the workers hired to build the White House were African Americans — some free and some slave. Working alongside white labors, the African Americans cut sandstone at the quarry in Aquia, Virginia. They also dug the footings for the White House, built the foundations, and fired bricks for the interior walls. The White House could not have been completed without European artisans and immigrant laborers. Scottish stoneworkers raised the sandstone walls. Craftsmen from Scotland also carved the rose and garland ornaments above the north entrance and the scalloped patterns beneath the window pediments. Irish and Italian immigrants did brick and plaster work. Later, Italian artisans carved the decorative stonework on the White House porticoes. President George Washington selected James Hoban's plan, but he felt that it was too small and simple for a president. Under Washington's supervision, Hoban's plan was expanded and the White House was given a grand reception room, elegant pilasters, window hoods, and stone swags of oak leaves and flowers. However, George Washington never lived in the White House. In 1800, when the White House was almost finished, America's second president, John Adams moved in. Adams' wife Abigail complained about the unfinished state of the presidential home. The original builders of the White House didn't consider the possibility of a handicapped president. The White House didn't become wheelchair accessible until Franklin Delano Roosevelt took office in 1933. President Roosevelt suffered paralysis due to polio, so the White House was remodeled to accommodate his wheelchair. Franklin Roosevelt also added a heated indoor swimming pool to help with his therapy. Since 1970, the swimming pool has been covered over and used as the press briefing room you see on television. After 150 years, wooden support beams and exterior load-bearing walls of the White House were weak. Engineers declared the building unsafe and said that it would collapse if not repaired. In 1948, President Truman had the interior rooms gutted so that new steel support beams could be installed. During the reconstruction, the Trumans lived across the street at Blair House. The White House has been called many names. Dolley Madison, wife of President James Madison, called it the "President's Castle." The White House was also called the "President's Palace," the "President's House," and the "Executive Mansion." The name "White House" didn't become official until 1901, when President Theodore Roosevelt officially adopted it. Creating an edible White House has become a Christmas tradition and challenge for the official pastry chef and team of bakers at the White House. In 2002 the theme was "All Creatures Great and Small," and with 80 pounds of gingerbread, 50 pounds of chocolate, and 20 pounds of marzipan the White House was called the best Christmas confection ever. The White House is constructed of gray-colored sandstone from a quarry in Aquia, Virginia. The north and south porticos are constructed with red Seneca sandstone from Maryland. The sandstone walls weren't painted white until the White House was reconstructed after the British fires. It takes some 570 gallons of white paint to cover the entire White House. The first covering used was made from rice glue, casein, and lead. We don't often think about maintenance of this old house, but painting, window washing, and cutting the grass are all chores that even the White House can't deny. Did the Obamas Replace White Christmas Trees with 'Holiday Trees'? Black and White Houses - Colorful or Not? Learn Ten Facts About Washington, D.C.